The React to Red training pack for care homes which we designed and filmed for the Tissue Viability Team at Nottinghamshire Healthcare Foundation Trust has been shortlisted for the Nursing Times Awards 2015 in the category of Care of Older People. The Nursing Times Awards received a record 823 entries from 346 organisations this year. The winners will be announced on 12th November. 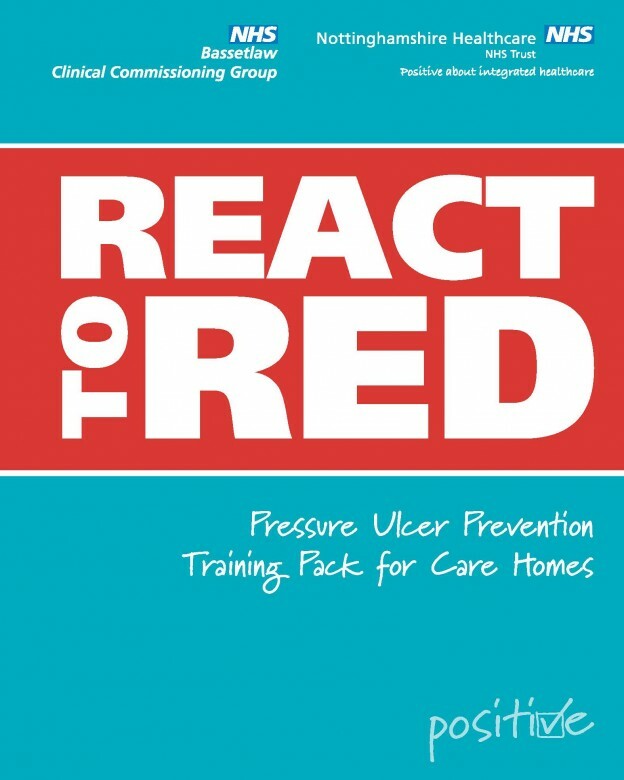 Since its launch last year ‘React to Red’ has helped to reduce the development of pressure ulcers amongst vulnerable care home residents by over 30%. As part of the campaign, a bespoke pressure ulcer training package was launched, helping to train care home staff in the prevention of pressure ulcers.